The rise of social media marketing gave businessmen a useful tool for growing their business. Having pages or channels on different social media platforms effectively help increase brand visibility. Therefore, you shouldn’t undervalue these tools for generating leads and maximizing sales. One of the powerful platforms that you should be utilizing for your business is the Snapchat. Snapchat takes a large volume of users which can be a good platform to market your products. According to statistics, it has more than 173 million daily active users who watch about 10 billion videos every single day. With that huge audience, advertisers see its potential to drive traffic and increase their brand awareness. If you haven’t got the idea on how to craft your own, you can pick awesome and useful Snapchat mockup to make your story or ad more engaging. Brands who are looking for ways to interact with their customers and want to build brand loyalty should make use of the Snapchat platform. As a matter of fact, Snapchat ads are twice as effective at driving customer interest through video content than Facebook. So, you see how it can help you improve your reach? This is where Snapchat mockups are an ultimate help. In order to help you build your brand using this tool, you can look for ready-to-use templates that will lighten your burdens in making your own. Find the best Snapchat mockup that will suit your needs in this list that we’ve handpicked for you. Whether you want to create geofilters, stories, and text, your posts can be powerful in creating your brand and take attention across social media with Snapchat. 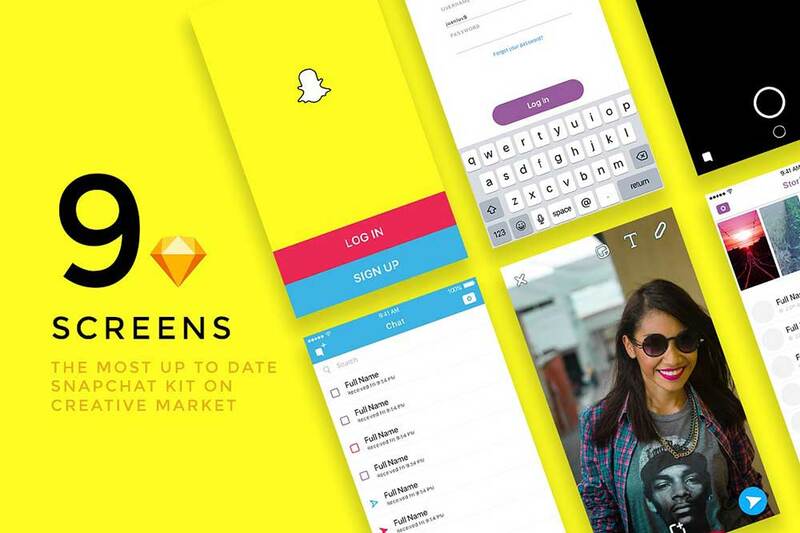 So, make the most of the platform using these Snapchat mockups. If you want to build a larger number of audience, you can utilize Snapchat for your business. Basically, your snaps can be shared with other social media accounts. Giving you a more versatile post that’s beneficial for your brand exposure. Moreover, your photos or videos can be edited easily with effects, text, stickers, and filters for a more engaging post. It can also promote real-time happenings with the right snaps to use for certain events. Hence, it’s a good tool to use for a brand awareness campaign on social media. 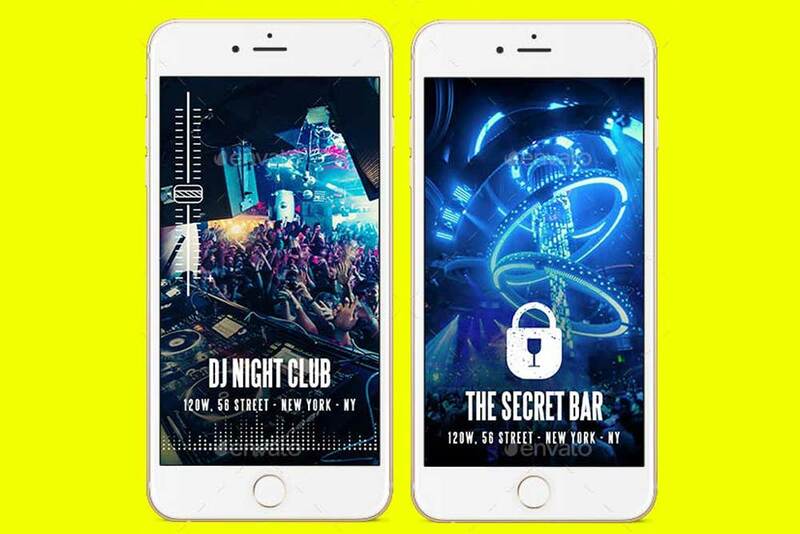 Here’s a Snapchat Filters – 10 Club Filters that you can use for nightclub events or party. Apparently, it comes with 10 Nightlife Snapchat Geofilters that you can easily customize in Photoshop. Having this set will help you easily promote the event to potential customers. Have you been looking for the best platform in telling your story and building your brand? Or do you want to promote your upcoming events or party nicely to a wider audience? Why not use Snapchat for that? 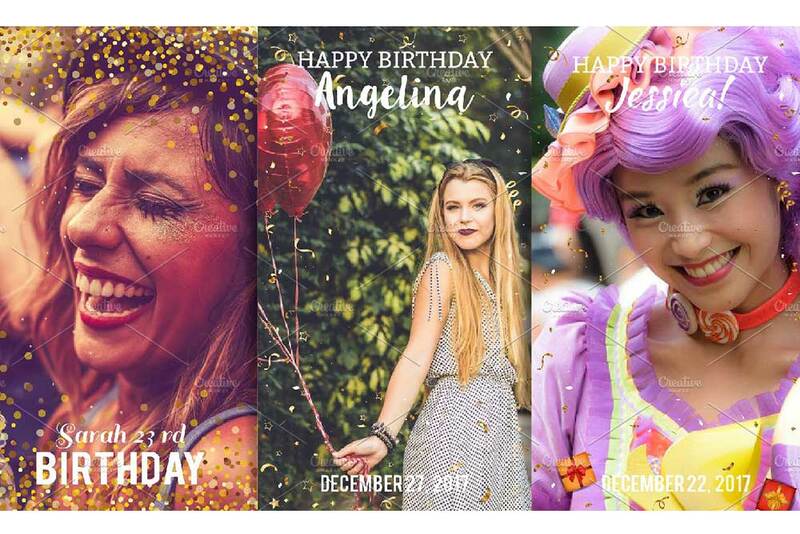 If you’re an event planner who wants to showcase success stories for your potential customers, then you can use this 9 Happy Birthday Snapchat filters for improving your posts. This pack is one of the top-selling birthday Geofilter designs. Specifically, this set features confetti borders and party elements with easy-to-read text. You can move the text around or change what it says to meet your needs. As long as you keep this pack your photo or videos will always look extraordinary and entertaining. Want to find ways to make your brand stand out? Do you wish to make them feel excited with what you’re currently doing? If you do, then use Snapchat for giving them a sneak peek of your new products to offer, behind the scenes or discount codes. 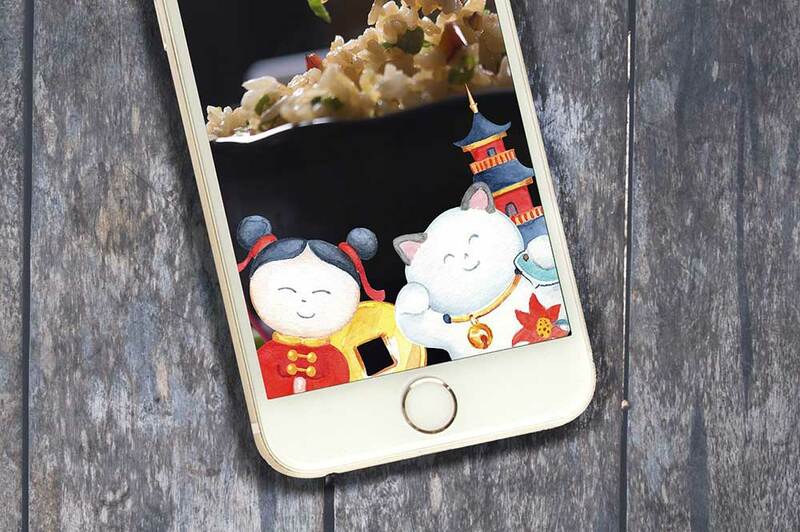 If you want it to look outstanding then you should be grabbing this Oriental Snapchat Geofilter Kit. This pack contains six separate layers in PSD files. You can use them for different occasions as long it fits on it. Particularly, you can see in this pack sky lanterns, colorful Chinese paper lanterns upper banner, eastern characters, oriental fans, a red and gold banner for your text and red watercolor texture. Statistics reveal that Snapchat users open the app 25 times each day on average. Hence, it’s a great way to market your business wherein you can share a picture or video of your brand on a maximum of 10 seconds. 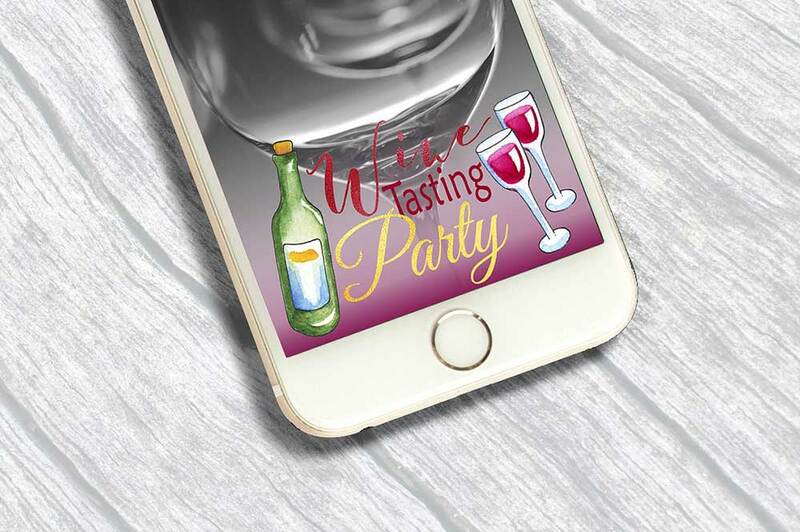 If you’re in the wine industry, having this Wine Tasting Party Snapchat Filter will be very beneficial for your posts. This geofilter pack contains layered PSD where you can organize the objects and modify them as you wish and a PNG with a transparent background. Featuring a beautifully drawn watercolor wine bottle and glasses, this tool can make your posts look unique and extra special. Save time in making your Snapchat stories. In order to do that you can look for ready-to-use templates that will serve as your awesome guide. Here’s one that will help you create a fantastic snap in just a few clicks. This Snapchat UI Kit – inc. Stories is a complete set of UI elements for crafting presentations or planning content. It contains 9 screens with home, log in, signup, chat, discover section, stories, memories, photo screen and send screen. It’s a pixel-perfect element with fully customizable features that can be edited well using Sketch application. Specifically, you can change fonts, colors, forms and sizes of elements to make your project unique. Snapchat offers limited-time-only snaps and stories. So, followers of your social media platforms will have to view the content as soon as possible or they’ll miss the chance of seeing it forever. Therefore, it’s great for visually promoting upcoming events through photos and videos with awesome filter and text. Here’s a Snapchat Geofilter Template that you can use in creating wonderful snaps and brag about how awesome your event is by creating a custom Geofilter on Snapchat! 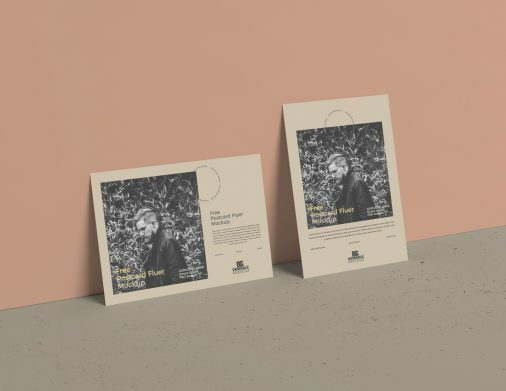 This mockup features a beautiful and elegant banner on top where you can edit the title and make it yours for any upcoming events. It’s available in PSD that you can easily customize. Whatever products or services you want to promote, social media is never a waste of time and energy. If you want to share sneak peek of how awesome your next product would be, you can always do so and share photos or videos with captions. This is where Snapchat mockup is valuable. Whether you want to give a behind-the-scenes video, advertise your new product, feature effective testimonials or any engaging video you want to share, Snapchat can be a hero! 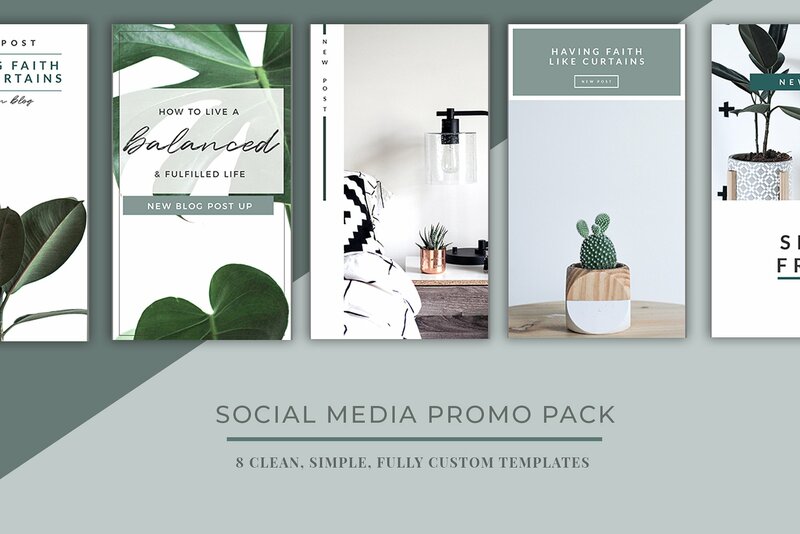 Here’s a Social Media Template Bundle that will give you an excellent resource for making a perfect page or channel. 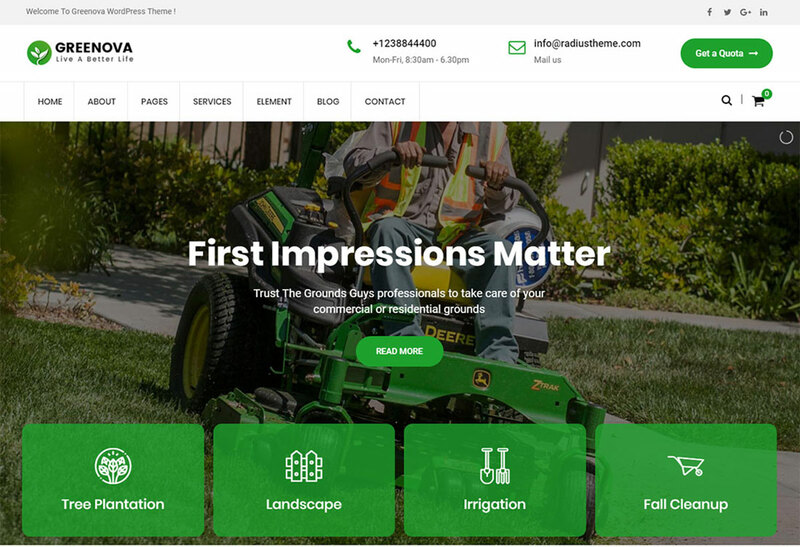 It includes over 1600 templates for all kinds of businesses, with over 20 versatile themes. Specifically, it comes with 200 Snapchat stories for your creativity. Since Snapchat’s geofilters are based on locations, it’s a perfect tool to use for events such as wedding, games, or any other events. Having an appealing posts will give people a good impression on whatever you’re showing them. 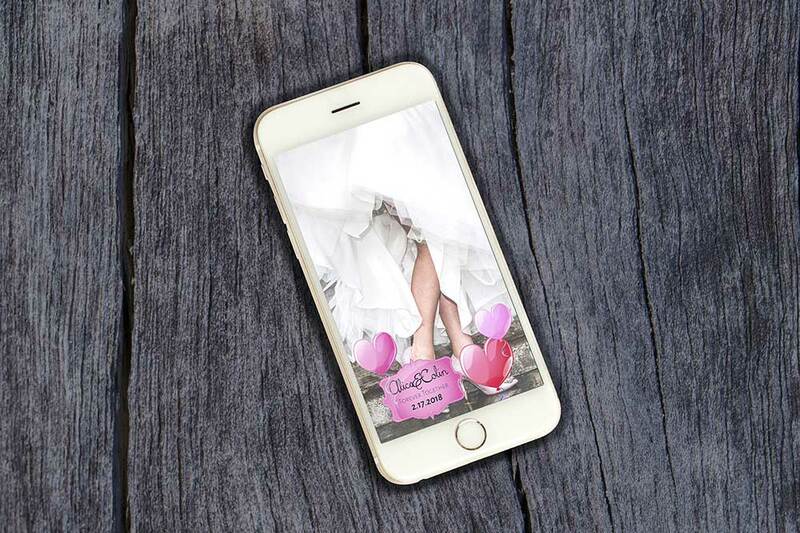 Here’s a 9 Wedding Snapchat Geofilters that you need to share a captivating look of what you’re currently attending. 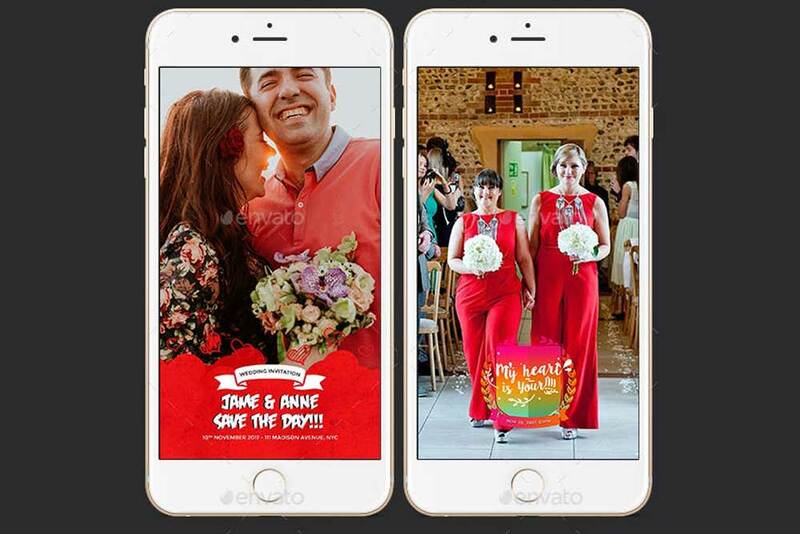 Its clean and wonderful design makes this Snapchat mockup useful for wedding events. It features clean watercolor and gold flowers and leaves. Particularly, it’s available in AICS6 and EPS10. This mockup recommends to put the name of the bride and groom along with the date as text on this wedding geofilter design. Black Friday is one of the ever billion shopping pound in different countries. Hence, it’s an event that most people should be taking advantage of. In order to have a wonderful set of images with adorable captions and filter, you can create a snap and stories for your products. 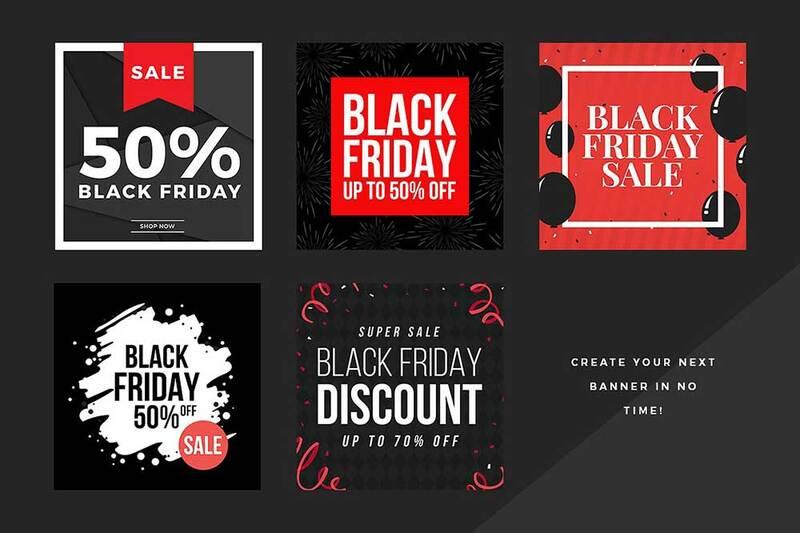 To help you achieve that goal, you should have this Ultimate Black Friday Social Media – Snapchat Mockup. 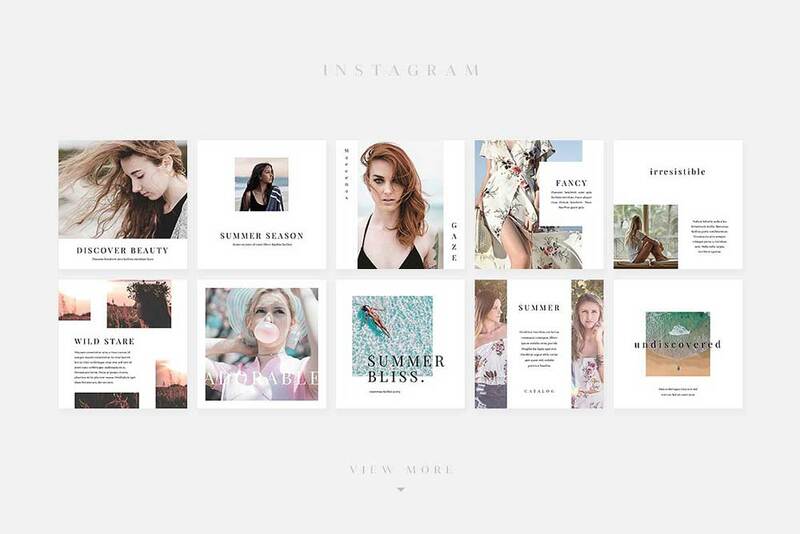 This pack is useful for sharing stories and posts with style and elegance. With this set, creating your banners for social media has never been easy and creative. 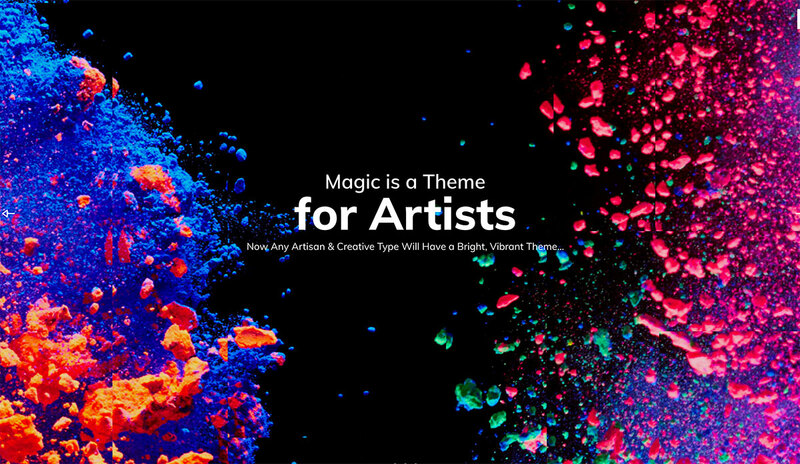 It comes with 360+ PSD files, smart objects for easy image insertion and many other awesome elements. Make your wedding day extra special as you share moments with your loved ones afar off using Snapchat. Snapchat makes your images and videos even more engaging as you add filters, creative borders and inserting text on it. Thus, people would be delighted to see how grandeur and joyful your wedding is. 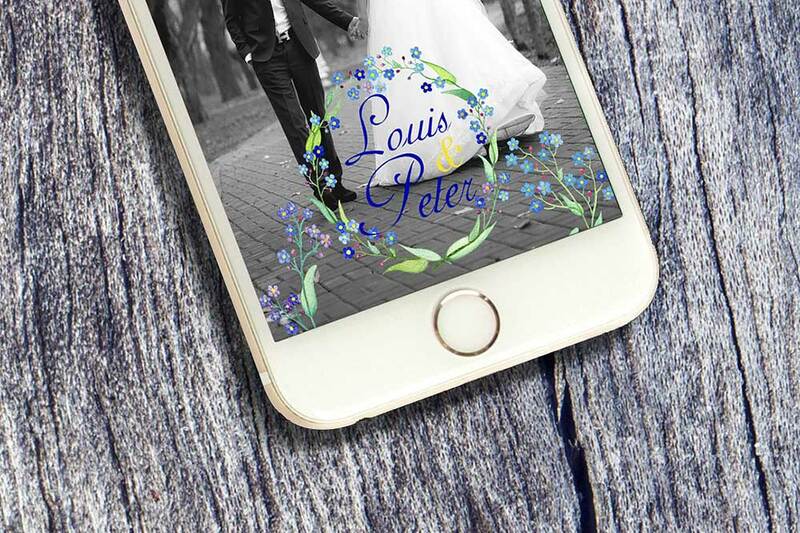 Here’s a Flower Wedding Snapchat Geofilter that will enhance your posts and stories. This pack comes with a PSD file that you can easily edit with Photoshop. Basically, this is ideal to use for a pretty wedding anniversary, bridal shower or valentine’s day geofilter! Christmas is one of the most awaited seasons of the year. Aside from exchanging gifts, having sales and promos are everywhere as well. Hence, people love to shop at this time and businessmen can boosts their sales too. Therefore, most businesses are also excited to share what promos they can offer to their customers. 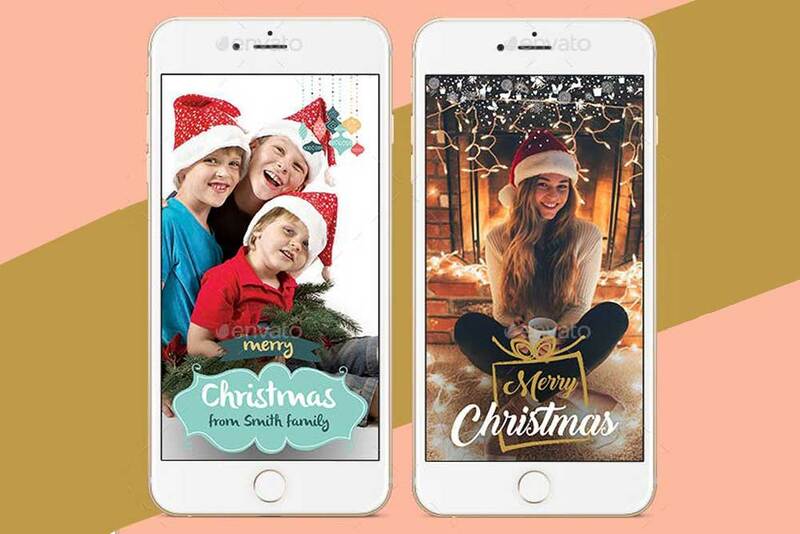 If you want to share happy, delightful memories on different social media platforms, this Christmas Snapchat Geofilters is a must-have! This is also useful for promoting a beautiful coat for the cold winter days. This pack is available in png and jpeg files. It can be the one you need for the Yuletide season for entrepreneurs. Snapchat users love learning quick tips from other users. So, make sure your posts are incredibly useful, effective and innovative. If you’re trying to promote a beach party venue, you should try to make the best snap to chat with your friends. 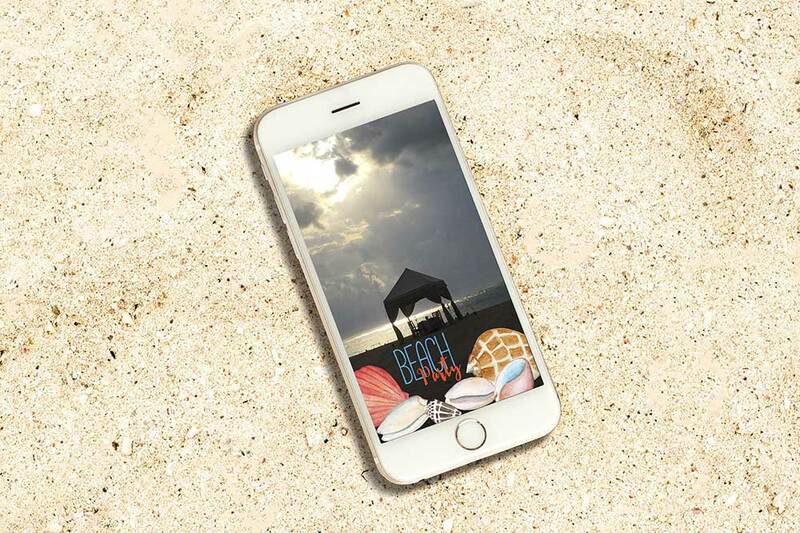 Here’s a Beach Party Snapchat Geofilter to help you build a beautiful and elegant photo for your post. You can add captions that can make your posts captivating and interesting. By doing so, you’ll get people hooked with what you’re trying to promote to them. Specifically, you can customize the text and other elements in this Snapchat mockup. Heading toward a party or wedding ceremony? Why not tease your friends to attend as you use Snapchat for a sneak peek? If you want to make your photos more appealing you should be downloading this Heart Balloon Snapchat Geofilter. Now you can impress your guests, friends and families with pink and red air balloons as elements in your snaps. It’s perfect to use for wedding, valentines, engagement party and just an ordinary date at a beautiful restaurant. It’s available in PSD file and is editable using Photoshop. Summer is a season where people love to stay on the beach or other places where they can have a cool, relaxing ambiance. 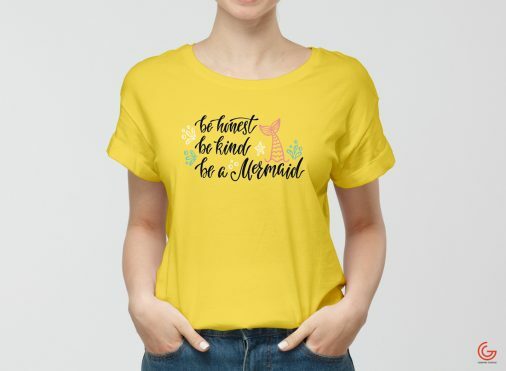 Of course, this is also a season where businesses can offer summer promos in apparel products. 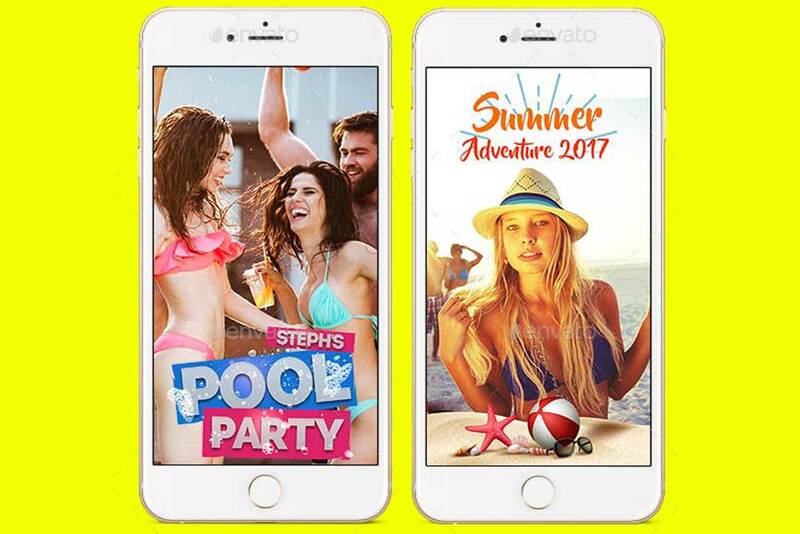 So, check out this Summer Snapchat Geofilters for your upcoming summer events and summer discounts. This is ideal to use for weddings, nightclub events, birthdays, corporate events, political events, fundraisers, bar/bat mitzvahs, golf outings, conferences, festivals, cafes, restaurants, bars, party events. Moreover, it’s perfect for product launches, inductions, ribbon cuttings, seminars, awards ceremonies, fundraisers, and more. Here’s another fabulous Snapchat mockup that’s best to add in your social media marketing tools. 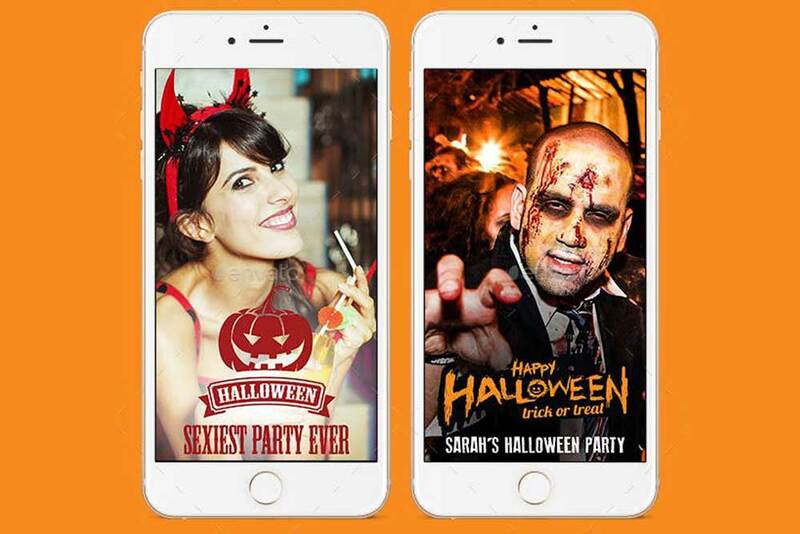 If you’re trying to promote a movie, product or service for Halloween, you can opt for this Halloween Snapchat Geofilters. 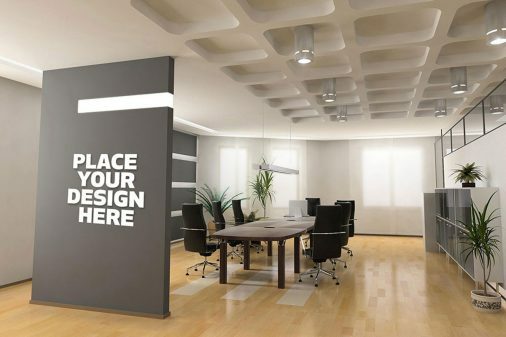 Now you can make your posts even more alluring and creative with this mockup. You can easily edit the text on banners and other elements. Particularly, it’s great for your Halloween party, nightclub event, bar, festival, cafes, restaurants, Halloween party events and much more. Just replace the elements in this template and you can make it more persoanlized without so much hassle. If you have upcoming plans for your business promos in the Yuletide seasons, you better grab yourself the tools that you need to share it effectively. Regardless of what product or service you want to showcase to your followers on different social media, you should make it the best. 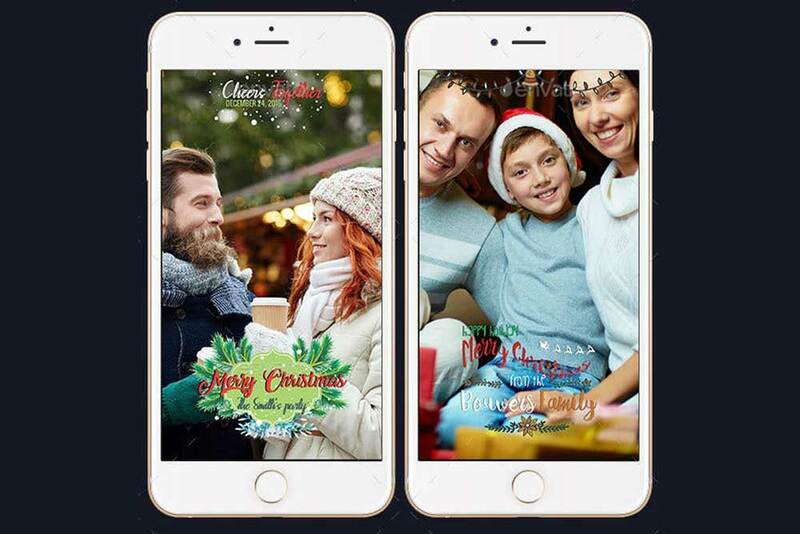 With this Christmas Snapchat Geofilters you can make your posts more adorable and personalized. Having a unique and creative post will entice viewers to enjoy and know more of your posts. It comes with 6 Snapchat geofilters for Christmas theme. You can easily change colors or whatever elements you want to edit. This is great for your Christmas party, nightclub event, bar, festival, cafes, restaurants, New Year party events and more. If you want to offer incentives to your SnapChat followers via promotional codes, you should make use of attractive filters. 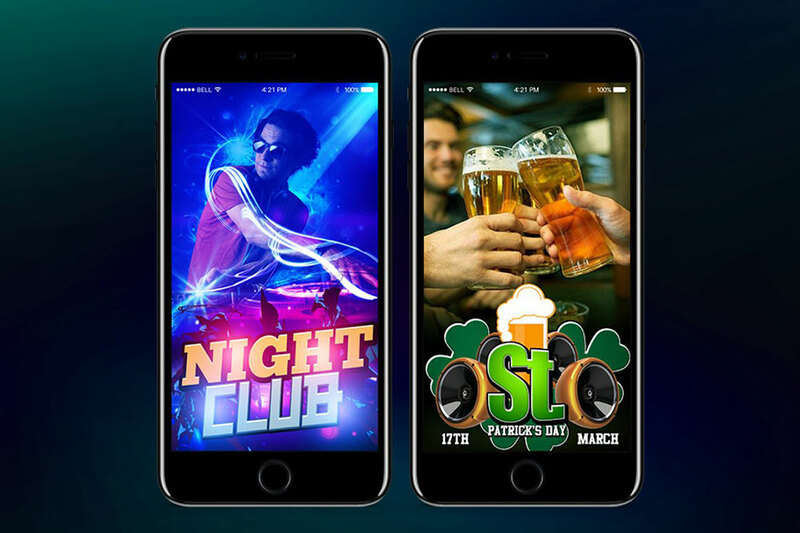 If you’re running a resto-bar you should check out this Snapchat Filters – 10 Nightlife Snapchat Geofilters Templates. 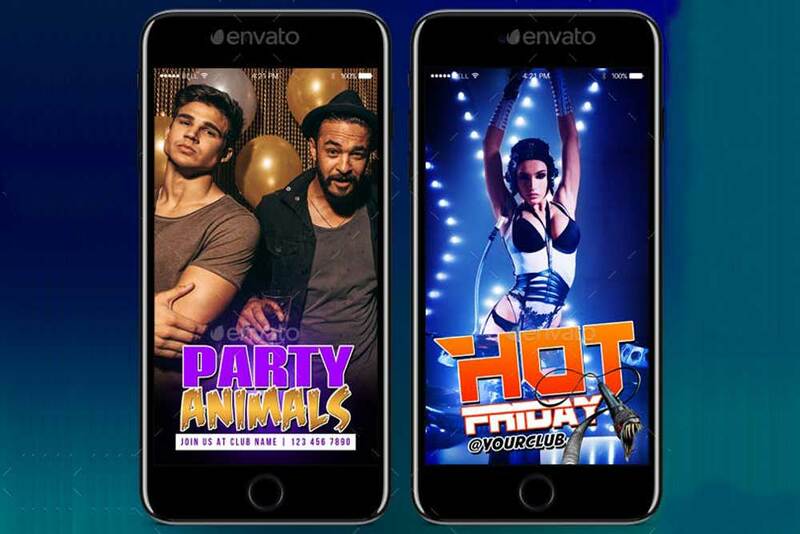 This pack comes with 10 useful Snapchat filters for nightlife stories. With this pack, you will not only have a cool post for your social media accounts but will have an engaging story to tell your followers. It has 1920×1080 pixel dimension with 72 dpi for a realistic and innovative social media posts. SnapChat is a great way to generate a hit of sales in a short period of time by offering a discount until your story expires. So, spread awareness of your newest products through this tool. It is ideal for product launches, ribbon cuttings, seminars, awards ceremonies, fundraisers, and more. If you need a template for your posts, you can use this Snapchat Mockup Geofilters. 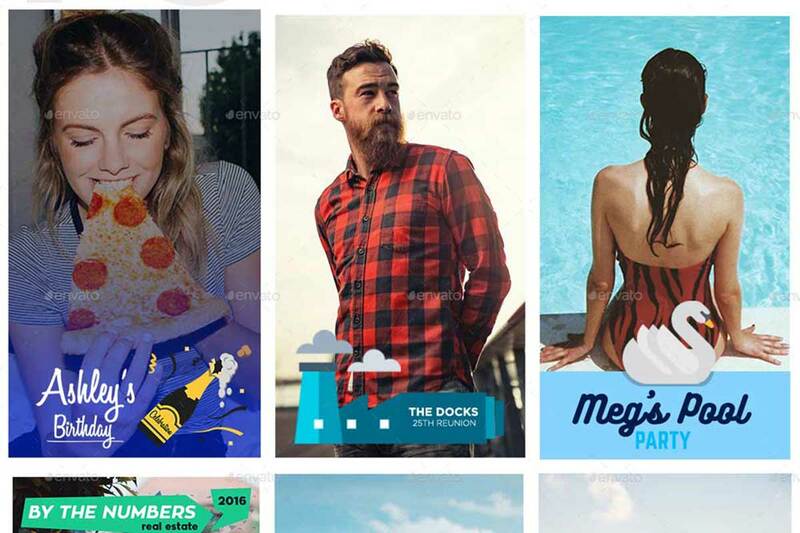 It features 10 fantastic Snapchat geofilters that most businesses can take advantage of. So, increase brand exposure with this Snapchat mockup. If you need to boost your business through effective marketing, you should not miss utilizing Snapchat as your tool. Through Snapchat, your posts will look attractive, eye-catching and personalized. Thus, your followers can tell that you truly mean with what you post. 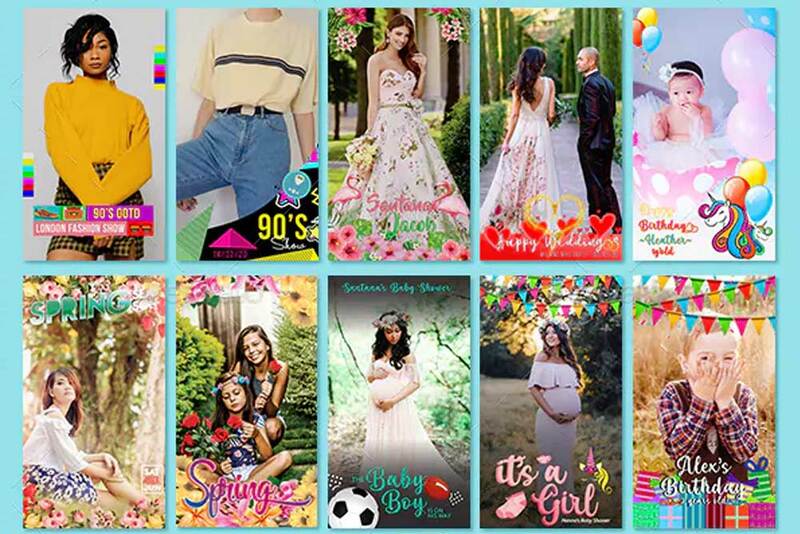 Moreover, using Snapchat, your posts will look modern and elegant as long as you use this 10 Modern Snapchat Geofilters. This pack contains 10 modern Snapchat geofilters In PSD files. Specifically, you can easily change colors, fonts, and text. You just have to locate the layer so you easily edit the element you want to tweak. Enhance your posts on social media to allure people and spread awareness of your brand. Whatever event you are trying to promote, Snapchat is here to improve your photo or video posts. 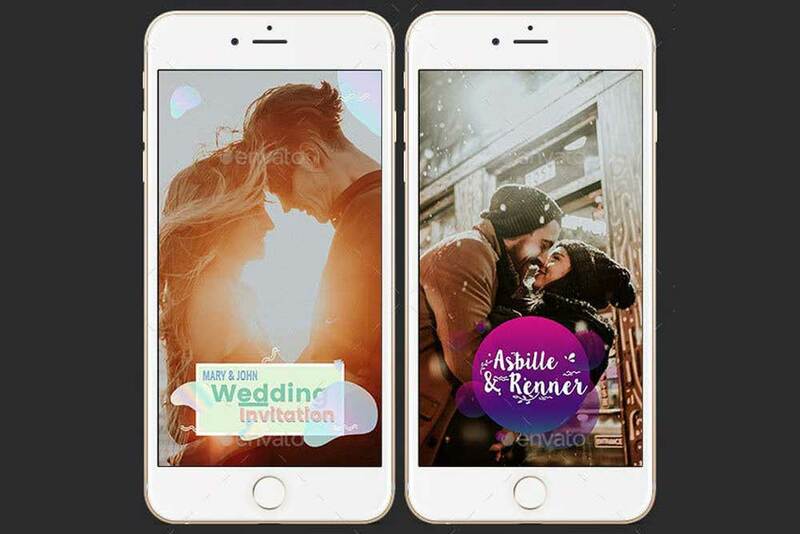 This Wedding Geofilters Snapchat Mockup is another useful Snapchat mockup that is a must-have for all entrepreneurs and creative individuals. 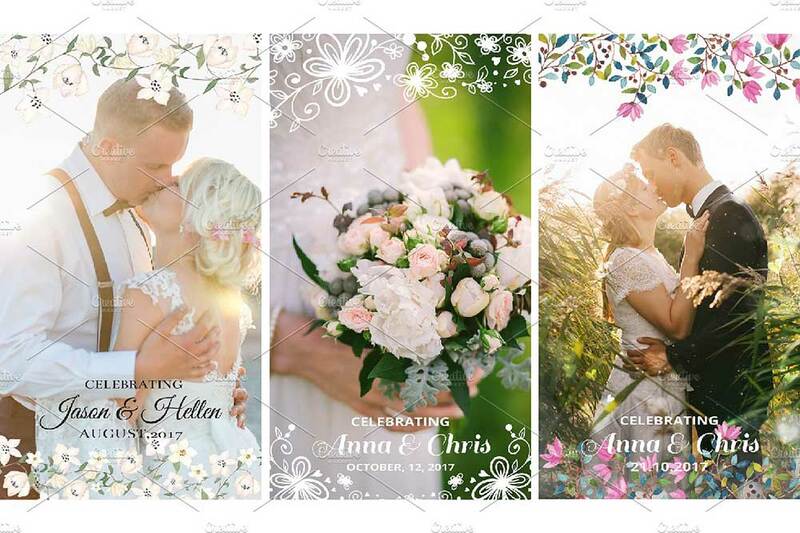 It contains 10 PSD templates for creating a wonderful wedding snap. This mockup lets you modify the colors, insert images through the smart object layer, and add text so it would meet your preferences. All of the themes are crafted with care and are ready to cater to every business owner’s needs when it comes to social media posts. SnapChat is a more personal platform and gives the brand a ‘real’ identity. So, why not start promoting your brand across the world using Snapchat and let your customers know that you’re using it. 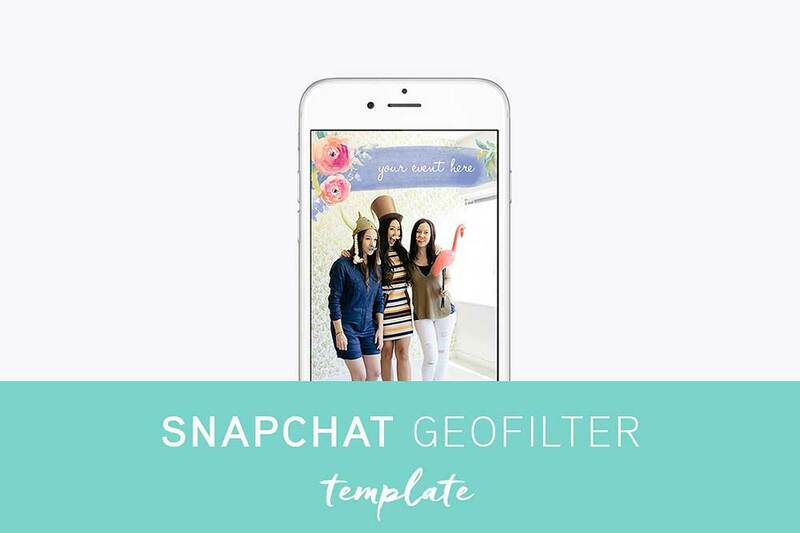 If you haven’t known how to start, you can use this Bundle Promotion Geofilters Snapchat – 50 PSD. It contains enough templates for creating wonderful promotion codes on social media platforms. It’s fully editable, from colors, text or images you can easily apply your own preferences to meet your needs. Christmas is a season where people need to shop. Almost all people try to go to the shopping mall to purchase what they need to make the season delightful. Hence, this is a very important event for businessmen to make the most of the season. 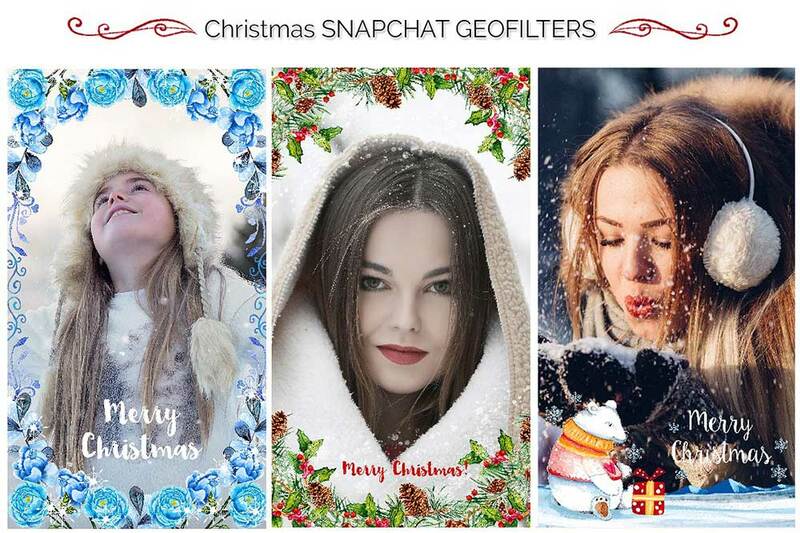 If you want to spread awareness of your discounts and promos, you should pick this Merry Christmas Geofilters Snapchat – 10 PSD. It comes with 10 PSD files that are perfect to use for your Christmas sales and promos. On the other hand, you can also utilize it for sharing wonderful moments with your loved ones who are miles away from you. Basically, you can edit colors, text and other elements. If you have upcoming events that you know would be more delightful if you have some guests, you can easily advertise it using Snapchat. 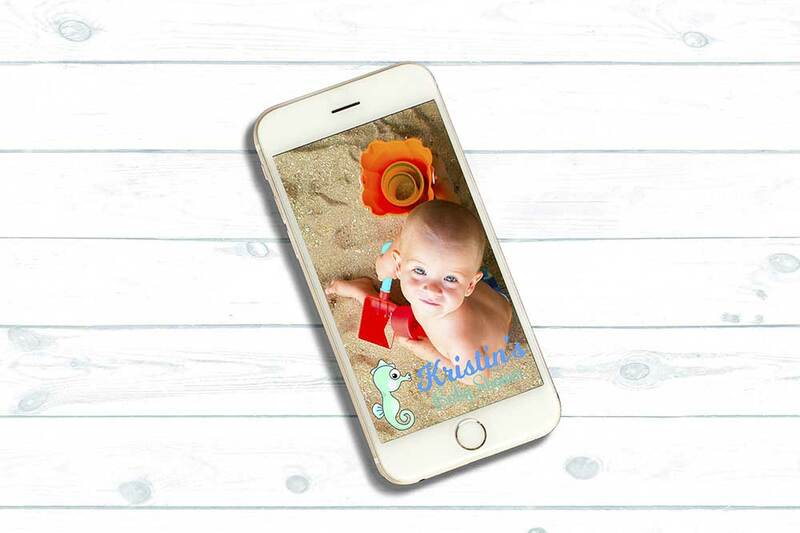 If you’re planning to have a baby shower event, you should download this Baby Shower Snapchat Geofilter. This pack is available in EPS10. With this Snapchat mockup, you will have a beautiful photo or video posts. It will improve the appearance of your photo for more captivating posts. Moreover, you can also make use of this for any event that it will fit with. In order to build a number of audiences, you can make use of social media platforms as your tool for promoting your brand. There are various types of useful platforms that you can choose to utilize for your business. One of these is the Snapchat platform. It’s best for any product, event or brand you want to promote. Here’s a Voyager Social Media Pack that you can use for personal or business purposes. It contains 8 modern Photoshop files with easy to replace images. It’s a great solution for the entrepreneur, shop owners, small business, startup, blogger, creator & artist. Likewise, it is built for all the major social media websites like Instagram, Snapchat, Facebook, Pinterest. If you have new products or promos that you need to spread awareness of, you can make use of snapchat platform for that. In this way, you can add useful texts or icons to make your post more visually appealing and attractive. Or if you want to share events to your followers, Snapchat also makes a wonderful choice. 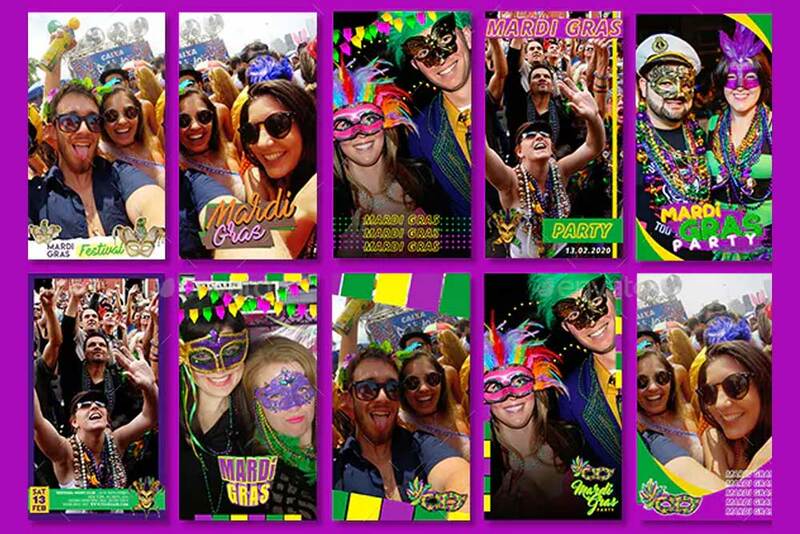 If you think you need one for your posts, you can opt for this 10 Mardi Gras Snapchat Set. It contains 10 Snapchat geofilter in PSD templates and is layered and fully organized. Moreover, they are easy to edit your own texts and your own models. Express yourself and how you truly feel in a fun and attractive manner with the Snapchat platform. By using Snapchat, you can express how you like a product or love certain services of a certain brand. Also, you can spread awareness of upcoming events using this platform. If you think you need a Snapchat geofilter template for your posts, then check out this 10 Multi-Purpose Snapchat Set. Basically, it comes with 10 Snapchat geofilter all in PSD templates. They are perfectly layered and fully organized so you can easily edit such elements. Particularly, you can use this for many events such as weddings, nightclub events, birthdays, corporate events, golf outings, conferences, festivals, cafes, restaurants, party events and more.